Find out more about Lancashire and South Cumbria sustainability and transformation partnership (STP) including details of its population size, constituent organisations and priorities. This partnership is developing into an integrated care system. 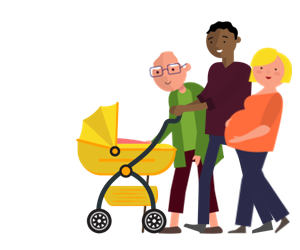 A strong focus on population health, mobilising community assets to enable people to stay well for longer and have greater control over their health and wellbeing. Mobilising technologies to reduce demand on services, as well as supporting self-care and prevention of ill health. A clear focus on improving health and wellbeing outcomes for the Lancashire and South Cumbria population. Making best use of resources to ensure delivery of quality outcomes and value for money. Improving and extending community and primary care services. Facilitating local health systems to progress to accountable care systems, focusing on the Fylde Coast initially, and quickly spreading across the wider STP. A focus on holding the system to account for delivery of national clinical priorities. Developing and implementing an integrated health and care strategic commissioning function. The following organisations are part of Lancashire and South Cumbria STP. For individual contact details for these organisations, please see the NHS website.